Books - Ablon Skin Institute - Dr. Glynis Ablon, M.D., F.A.A.D. Glynis Ablon, M.D., FAAD, is a dermatologist and cosmetic surgeon, and Associate Clinical Professor of Dermatology at UCLA. She founded the Ablon Skin Institute and Research Center 16 years ago in Manhattan Beach, where in addition to a thriving medical and cosmetic practice, she guides pioneering research in dermatology products and procedures. Dr. Ablon is a Fellow of the American Academy of Dermatology, American Academy of Liposuction Surgery, American Society for Laser Medicine and Surgery, and American Society for Dermatologic Surgery, while on staff at Providence Little Company of Mary Medical Center and UCLA. She has also appeared as an on-camera medical consultant for the Emmy Award Winning The Doctors television show, as well as Entertainment Tonight, ABC, NBC, CBS, KCAL and Lifetime. 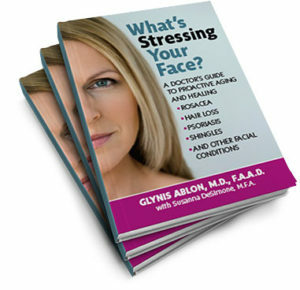 In her book, What’s Stressing Your Face: A Skin Doctor’s Guide to Healing Stress-Induced Facial Conditions, Dr. Ablon provides comprehensive evaluations of case stories and her own personal experience of skin conditions and their relationships to stress in our daily lives. Her talk, What’s Stressing Your Face, will address how stress, facial skin problems, and age related conditions can show up, and offers effective healing methods combining holistic techniques and cutting-edge products and procedures to treat, control and reduce these conditions. Learn techniques to take control of your stress before it takes control of your skin. Congratulations! You made it through medical school. Now what does it take to establish a successful practice? It takes four more years of business school! …and much more that you never learned in medical school! In this book are all the years of experience you don’t have yet. It is like having a business mentor with you in your white jacket pocket at all times. 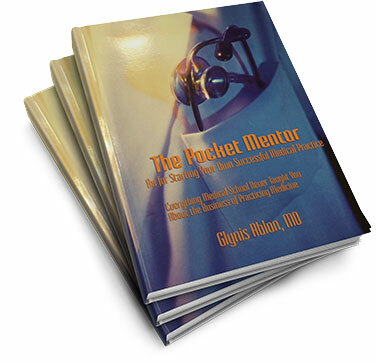 Keep The Pocket Mentor at the office and use it as a reference guide every step of the way from opening up your own doors to growing the practice. The perfect introduction to what could be an otherwise scary subject, Dr. Ablon and her daughter’s tale of learning the importance of healthy skin will make your little ones laugh as much as it stimulates their curiosity. 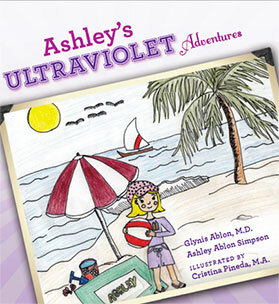 Accessible and gentle, Ashley’s Ultraviolet Adventure is the perfect tool to encourage healthy habits through preventative medicine. Eight-year-old Ashley Ablon Simpson’s morning routine includes brushing her teeth and putting on sunscreen. That’s right. She keeps sunscreen right next to her toothbrush so she never forgets. You’d like to know why, wouldn’t you? When Ashley was five years old, the family was gathered for Thanksgiving dinner, one of her favorite holidays with all the family and fun when she noticed what appeared to be food on her grandma’s face. Well, it turned out it to be something much worse, a form of skin cancer. Luckily, Ashley’s mom is a dermatologist, a doctor who knows all kinds of things about people’s skin. She took care of that little spot in a flash and Grandma was fine. This type of skin cancer, it turns out, is caused by the sun! And even when it’s hidden behind clouds, the sun can cause damage – that’s how tricky its ultraviolet rays are. However, we have a very simple, easy way to stop those rays in their tracks: sunscreen. It’s important to wear it when you’re skiing too, which Ashley’s grandpa finds out after a face-first fall in the snow! So that’s why Ashley always puts on her sunscreen, because she wants to be healthy. Ashley Ablon Simpson is an eight year old who knows more than most adults about dermatology. She has a fourteen-year-old brother, Connor, and she and her family reside in the Los Angeles area.